Finger Derpy - Out Now!! Australia has the Melbourne Cup, England has the Grand National and America has the Kentucky Derby. The only problem with these events, is the waiting around between races.. If only someone created an app to fill that void? Something that enhances the whole racing atmosphere? Our friends Mommy's Best Games, have just released their addictive infinite runner Finger Derpy. 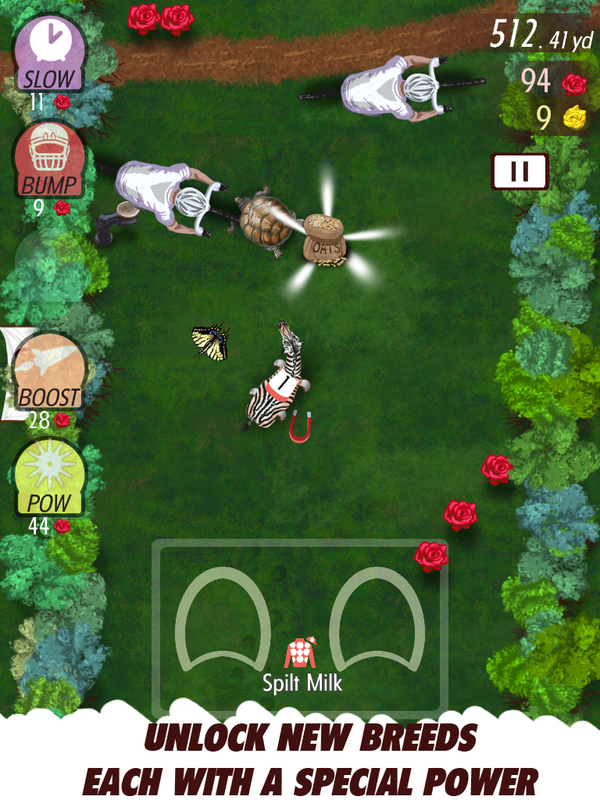 Use all your skill (and luck) to race your horse down the track collecting power ups and dodging turtles! If you're hosting a race day event then feel free to play against your friends in the Party Mode, where four players can race on the one device. The controls are very simple, much like the classic track and field on the NES. Smash your fingers on the hoof pads to move your horse forward.. Push one hoof more, and watch your horse spin kick its way into the wall.. You can also unlock new breeds, upgrades stats and customize you horses appearance. 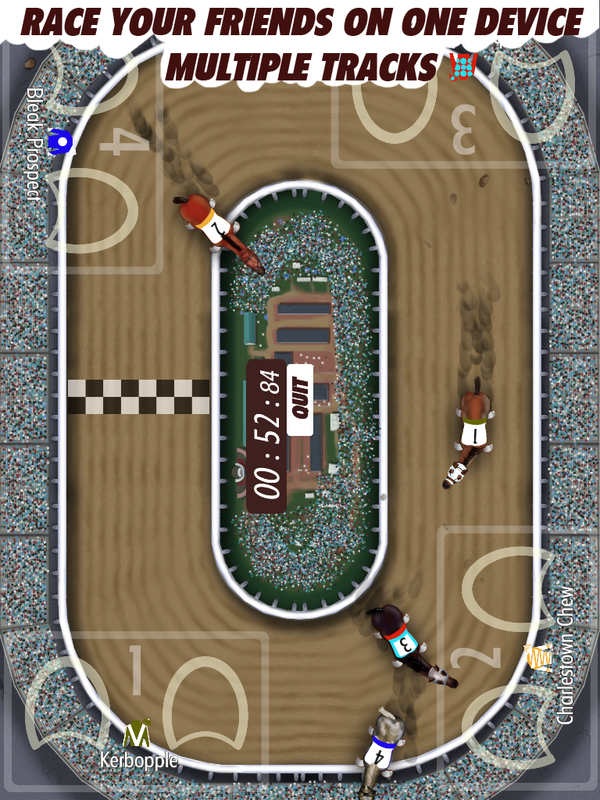 Creator Nathan Fouts based the game on his local race the Kentucky Derby. "The players race through a stylized version of Louisville, Kentucky and also features local businesses and organizations. Iconic Louisville landmarks make cameo appearances in the game. "Louisville Stoneware and CenterStage at the JCC have each been in the community for 100 years. We knew we had to represent them in the game"
Not only is it highly addictive it has been created by a small indie developer who is one of the nicest blokes you'd ever meet. I had the chance to chat to Nathan earlier in the year about his other upcoming title PigEatBall, Cat Silencers and Serious Sam. Its out on ISO (here) and soon on Android so keep an eye out!